The world of cannabis extracts is expanding rapidly with no intention of slowing down. In most legal markets, concentrate sales are increasing steadily as they continue to grab larger shares of the market year over year. Emerging trends within cannabis concentrate sales have undoubtedly fueled innovation at a staggering pace as a result of high demands. For consumers, this is indeed a very exciting phenomenon. Fans of hash products would agree that having options available is paramount. Yet only a few years ago, if you wanted to purchase cannabis extracts that were produced without the use of chemical solvents ( e.g, butane, propane, etc. 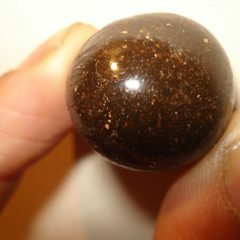 ), your only options were kief, cold water hash, and, in some rare cases, an old world pressed hashish. It wasn’t until recently, with the emergence of new advancements in heat extraction methods, where the market began to shift back in favor of the solventless hash consumer. Interest in heat extraction methods such as rosin proved to cause a profound effect within the community by reinvigorating the appeal for solventless extract innovations within legal markets, thus giving way to an entirely new generation of hash products. This rift in the cannabis concentrate paradigm can perhaps be measured most accurately by the sheer increase in solventless options available to consumers today. 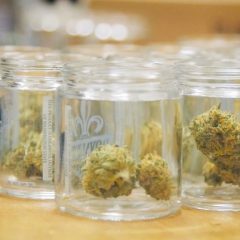 What follows is a brief overview of a few solventless options that you may not be familiar with but might be available at your local cannabis retailer. Rosin, being the game changer that it was, opened the door for several different new products. 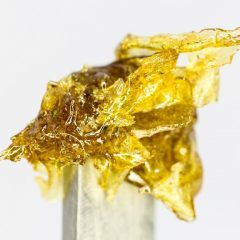 Solventless shatter, a type of rosin that maintains a stable and glass-like consistency, may resemble butane hash oil in appearance but was manufactured with nothing more than heat and pressure. Hash oil of this consistency is achieved both through the acquisition of certain genetics and the right combination of heat, pressure, and exposure period. Some cannabis cultivars will produce more stable rosin than others. Cure time and degradation of the trichomes also greatly affect hash oil consistency in the rosin form. Rosin can be made from a multitude of precursors, including freshly harvested and/or cured cannabis flowers, kief, water hash, and even trim. The color, consistency, and flavor profiles will all vary considerably depending on the precursor used. Many solventless hash oils are offered in more sappier and less stable forms. Their color can also vary from a golden opacity to a darker amber. Cure time and starting material will all play a role in facilitating these nuances. Heat, pressure, and exposure too can greatly impact the consistency of rosin. Higher temperatures tend to produce more stable products that more resemble shatter, whereas lower temperatures often yield sappier, less stable products. Both products are appearing on dispensary shelves and have begun to form respective niche markets. Another variation of solventless hash oil is budder, also known as cake batter or a “whipped” rosin. These products were created by incorporating light heat and agitation to rosin. The result is a buttering effect that looks very similar to a salve or batter of some sort. Using this technique has been known to significantly increase the aromatic properties of the hash oil and also provide a new creamier texture that can be much easier to work with when dabbing. 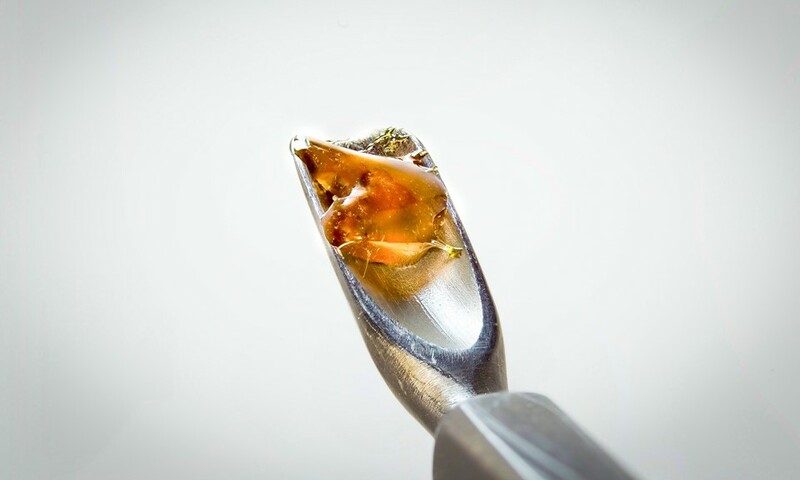 While many retailers are beginning to sell whipped solvent-free hash oils, the process can be achieved easily at home with preexisting rosin by simply stirring it consistently with a warm dabber tool. As the concentrate market continues to expand, demand for solventless options will continue to inspire innovators to push the envelope even further in creating more exciting products for hash consumers. Rosin, and its many subsequent forms, was the Pandora’s Box that opened up the door for full melt hash oils, and the demand only seems to be rising. Expect to see many more products emerge that will inevitably push the boundaries of hash oil flavor, consistency, and effect even further. Long gone are the days where the only products available to concentrate enthusiasts were limited to BHO, kief, and bubble hash. Hopefully all of these options come to your area soon so you can partake in these new solventless options! Thanks for NOT including CO2 processed hash in this list! I see way too many people refer to CO2 extract as “solventless”. It’s not. CO2 is in fact a solvent, just not a hydrocarbon solvent. There are also unmentioned dangers with CO2 extraction that people may not be aware of. If the cannabis itself, used in production, has any trace amount of pesticide/insecticide, the CO2 will cause these molecules to bind with it, a natural result of this extraction process. The pesticide toxics are a problem irregardless of CO2. I well remember the paraquat days. irregardless is not a word. Correct usage is regardless. False and irrelevant. Read Webster’s. But… the CO2 is released into the air when the pressure is released, thus, the final product IS solventless. Hi-P CO2 acts like hexane, but CO2 at 1 atm is just gas. it doen’t hang around in the concentrate. Rosin is the new solventless extract that has great taste or “terps” You can make your own solventless Rosin with a hot press. I use one called Mr. Rosin Press. here is a link to the Mr. rosin press on Amazon. How is the extract solidified into shatter? What causes it to go from an oily state into a hard state? Thanks in advance. yes you can make edibles with extracts! you just need to put the extracts in the oven in some foil in a pyrex so you dont lose it. get it to a point where you can move it around and add it to butter and bam. you have extract butter!